The guiding principle is that of 'The five I': making cities Intelligent, Integrated, Innovative, Inclusive and Internet-enabled (word a bit 'clumsy but this is the idea). The theme is the creation of new models of interaction between citizens and territory through the use of services made available and open data, that data available to the government made public. The goal is to create something a little 'more elaborate, multi-purpose an official website of the iCity: a platform that uses the electronic and digital instruments to orient the actual needs, making available new services and public data - Open Data young technical and business start-up digital. They were able to work with a single environment reference from which to draw, to develop "app" useful to the community and that they can be spread among citizens, project partners and beyond. 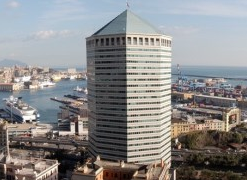 During the lifetime of the iCity Project Genoa City Council has integrated into the platform eight information systems (two more of the expected) and its open data portal in the Open Data. Perhaps the most interesting part is the possibility for local talent to develop ideas and apps in a meaningful context. In this sense, the most important event was the Next City, a competition between ideas and "app" developed locally, which was held June 5 to 7 at the last Talent Garden, a space of co-working focused on leading digital located within the Science and Technology Park in Genoa. In the jury, along with Richard Moon, Digital Champion for Italy under the European Digital Agenda, representatives of the City of Genoa, Republic of, IBM and Digital Magics. Among the several applications submitted was awarded Goair, who also won the Special Prize of the City of Genoa, a platform that integrates the different systems of monitoring of air quality which creators, thanks to the assistance of the City, the Garden has Talent made available for a few months a complete workstation.